Nissan's new truck, the Titan (and its heavy-duty variant, the Titan XD) received a lot of publicity in the last few weeks: the Japanese automaker went with the bold decision of stuffing in a Cummins turbo-diesel V8 engine displacing 5.0 litres and generating 555 pound-feet of torque. But Nissan knows not everyone will buy a diesel truck. For some, this configuration is either too expensive, runs too harsh or is plainly useless, as they don't tow regularly. For them, another choice is offered: a new V8 has been launched, the Endurance. Pretty modern, this engine gets four valves by cylinder, variable lift and timing as well as direct injection. Thanks to all this, the 5.6-litre engine manages to get an impressive 11.2:1 compression ratio in addition to developing 390 horsepower at 5,800 rpm and 401 pound-feet of torque at 4,000 rpm. This is a nice increase over the Titan's last V8, which only made 317 horsepower and 385 horsepower. On the Titan XD, this engine will be associated to a seven-speed automatic gearbox. Nissan will offer more information on this new powertrain combination closer to launch, which should happen in spring of 2016. Nissan has a lot of hope for its upcoming Titan. In the past, the model struggled for relevancy among its competitors (like the Ford F-150 and the Chevrolet Silverado, among others), so the Japanese manufacturer went to great lengths to make sure its new truck would be better than ever. 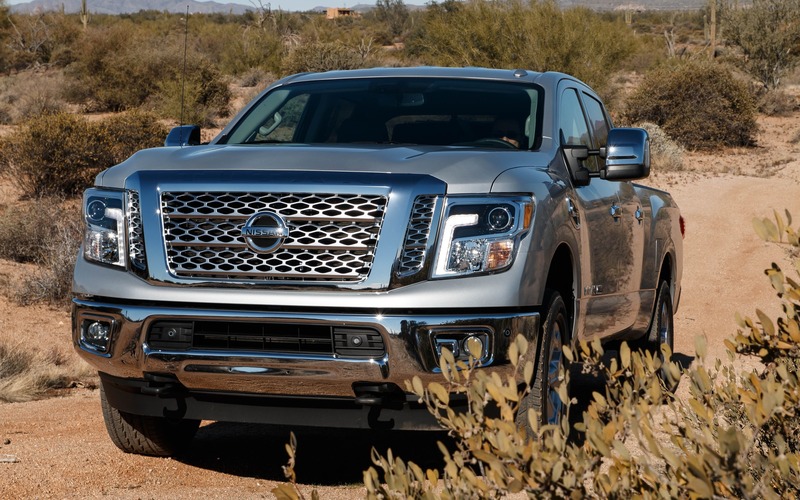 News 2016 Nissan Titan XD: Affordable?